Comparing ingredients from one pet food to another is a good place to start. If you see negative ingredients like by-products, corn, wheat, soy, bone meal, and other less than optimal ingredients, you can safely eliminate that product from your consideration. But, what about pet foods whose labels don't look too bad? That is why we have assembled some of the most important things to consider when comparing any food to Life's Abundance without the need to become an "ingredient expert". #1 How Is the Product Sold? This may not appear to be important on the surface but it is vitally important in knowing whether or not you are buying a quality product. Most products are sold through either grocery or pet food stores. This presents a few challenges that cannot be overlooked. #2 Who Makes Your Pet Food? Although there is nothing particularly wrong with the fact that these large companies are now in the pet food business, the real consideration is whether or not you choose to purchase your pet's food from a company whose primary focus is NOT pet food vs. a company whose primary focus IS pet food. The question simply boils down to, who do you trust to feed your pet? 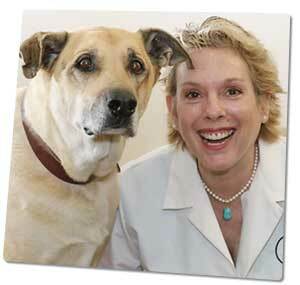 Dr. Jane is dedicated to the creation and advancement of the purest pet products she can make and has a mission to help pets live a longer, healthier, happier life. Her food is carefully made every couple of days and is shipped freshly and safely to your home within weeks of manufacturing. All of the ingredients are inspected for human quality and are purchased from strict, reliably consistent sources. #3 What Is Their Product Variety? If companies are concerned about providing the best nutrition possible, why do they make differently priced products? Is it possible that they are packaging the same food in every bag but just charging more to those who will pay it? Are they simply making foods to satisfy people’s budgets and sacrificing quality in the process? Consider the mixed messages that are being sent by companies who make differently priced products and of varying quality. VS. Both foods are marketed and sold as 100% nutritionally complete and balanced for the life of your pet, yet one is more expensive than the other. What is the difference? ProPlan is one of Purina's more recent foods and is marketed as higher in quality. Why hasn't the cheaper, older formula been discontinued do to the latest scientific advancements contained in the more expensive formula? By the way, both have similar ingredients...Corn, Wheat, Poultry By-Products, Animal Fat, Animal Digest. VS. Here we find two formula's from Science Diet. 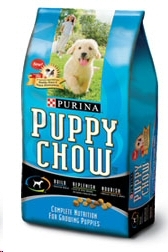 The first is their flagship maintenance food found in most veterinary offices and pet food stores. The second is one of their later advancements called 'Nature's Best'. If you were to guess what the major difference is between the two, you would be correct in saying that one appears to be a natural formula while the other is not natural. That being the case, which food do you feel is better in quality - Natural or Not Natural? The answer is obvious. Why then do we still find the original Science Diet formula on sale everywhere when they have clearly made an advancement in technology by creating a more natural food? In summary: If both pet foods are of equal quality there is no need to spend money on the higher priced foods. If both pet foods are not of the same quality, why would you ever buy from a company who knowingly makes inferior products? 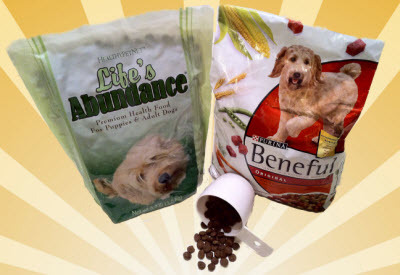 Life's Abundance pet foods only come in one variety - The Best we can make. While we understand that most people want to watch their budgets and not spend more than is necessary, we also understand that you get what you pay for. Most people never consider that buying cheaper foods can lead to more expenses down the road with regard to vet costs, nutritionally related ailments, and shortened life spans. They may also not realize that you could easily feed twice as much of a cheaper food in an attempt to equal the nutrition found in a food like Life's Abundance. If we examine the actual cost of feeding Life's Abundance, we would be amazed to realize how inexpensive it is and why it makes no sense to consider an inferior product. We could not expect to feed any single member of our family for such a small price without sacrificing good health. Should we expect any different results when it comes to our pets? Our philosophy is simple, people who love their pets will naturally want to feed them what is best, not what is cheapest. #4 Can The Company Be Trusted? Many consumers place 'blind faith' in pet food industry when shopping for a pet food. The general concensus is that if a food is on the store shelf, it must be nutritious and safe. But the sad reality is that many pet products (including food and treats) are routinely recalled, but not before there have been dreadful consequences. In March 2007, our nation experienced the single largest recall of pet food ever. More than 100 brands of pet foods were pulled off the shelves due to tainted ingredients. Thousands of pets were sickened (the FDA received more than 17,000 reports) and an estimated 20% died. You can view the list of recalled products from the FDA's website here. While larger recalls such as this are publicized and brought to public awareness, many smaller recalls are not. There is no need to "roll the dice" when buying pet food. Dr. Bicks has been making Life's Abundance since 1999 without a single recall. Much of that has to do with the first rate ingredients, the clean manufacturing facilities, and the fresh delivery practices that we use. While tainted ingredients from cheap sources is a constant threat, there is also an ongoing issue of "acceptible" ingredients that pet owners need to be aware of. Each ingredient used in the Life's Abundance formula is inspected by APHIS (Animal Plant Health Inspection Service - a division of the USDA). this certification requires that not only is the pet food manufacturing plant inspected, all vendors are inspected as well by the USDA. Very few pet food manufacturers bother to have this certification. Plus, we use only USA Ingredients (except for the organic chicken that is purchased from New Zealand for the canned cat food).